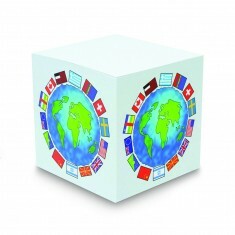 We supply a range of personalised block pads, all of which can be custom printed with your design. 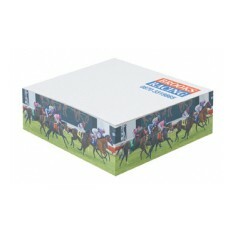 We can print on the sides of our block pads as well as on the face of each sheet. 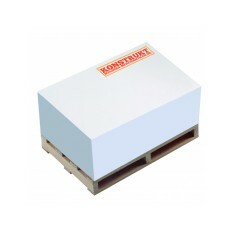 Our range includes various sizes, helping you find the right customised block pad to suit your requirements and budget. 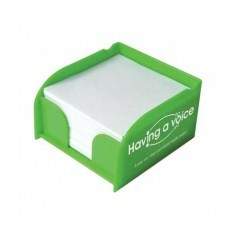 Our promotional block pads all have huge branding areas, including the top and sides, which are ideal for getting your message seen by all. 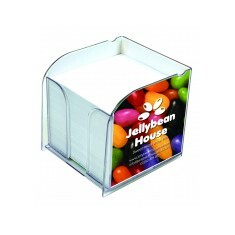 These items offer a great way to promote your brand on any office desk or hotel reception, plus if you have the notes branded your audience will take them away and who knows where it they will end up. Since our custom printed block pads all come with plenty of sheets, they’re superb at keeping your branding in front of customers for a decent amount of time before all the notes are used up. 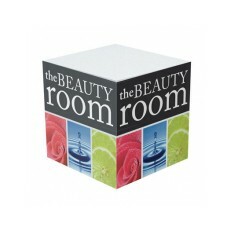 An item from this range that we love is our custom printed Square Pallet Block Pad - Large. 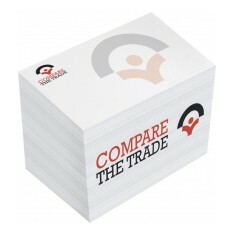 With approximately 1000 sheets of paper, it’s brilliant for keeping your message in front of clients. 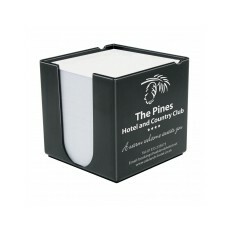 Printed with your design to every side, and even the face of each sheet for an additional cost, this note pad comes on it’s own pallet for an added touch of fun and keeping your notes safe from spillages. 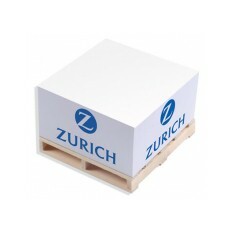 The pallet is fun added extra which works great with any construction based companies. 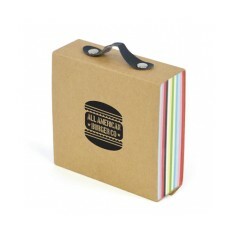 Looking for a refillable note holder like our personalised Smart Holder Maxi? 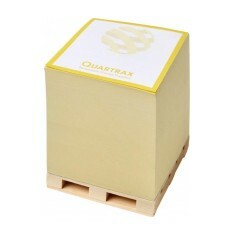 Or some notes that you can print with your design like our Smart Block Maxi? We have a range of sizes and styles to choose from here at MoJo. 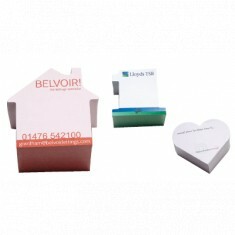 Give our sales team a call today and we can arrange free of charge visuals for you to see just how well these block pads can help to spread your message. 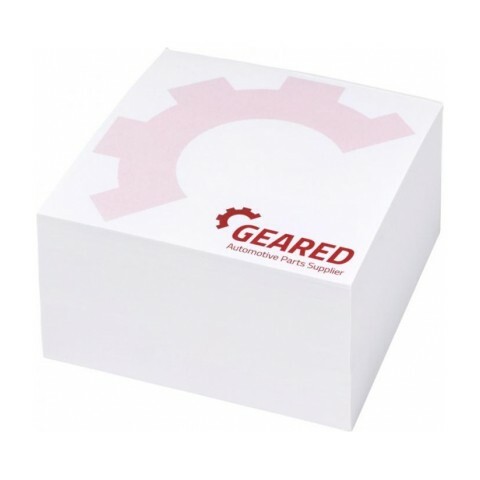 Keep your message on your customer's desk with our custom ..
Keep your message on your client desk for longer with our ..
500 sheets of paper. All 4 sides printed. 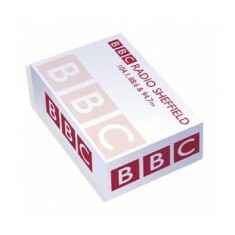 Individually shrink wrapped as standard. 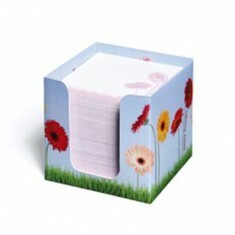 This custom printed medium sized block pad sits upon a mi..
Keep a Block Pad handy to jot down quick notes! 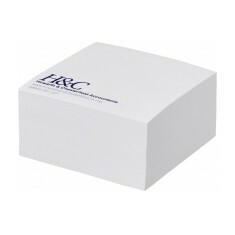 Containing..
Keep your design on your clients desk for years to come with our custom printe..
Small block pad containing approximately 250 sheets of 80gsm paper. 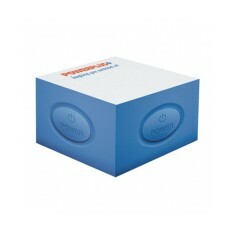 Supplied i..
For a fun alternative to standard blockpads, why not try o.. 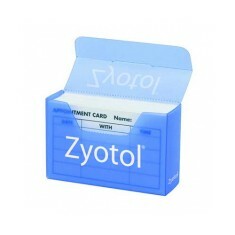 Polypropylene holder contains approximately 100 appointmen.. 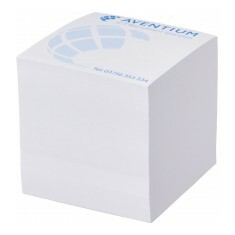 Printed in full colour and can be printed on both the insi..
Have your design stand out on your desk with our custom printed Medium Block P..
Don't get forgotten with our custom printed Block Pad - Medium Cube. 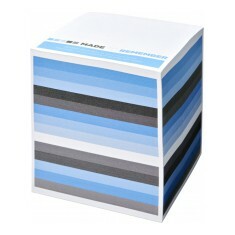 This bloc..
450 sheets of plain paper. 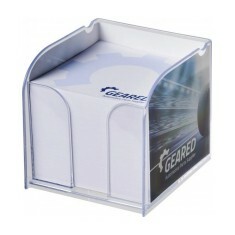 Printed to all 4 sides of holder. Individually shrink wrapped. 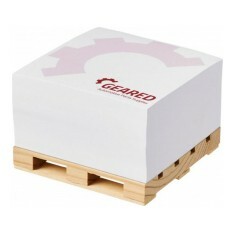 This large block pad placed upon a wooden pallet looks fantastic. 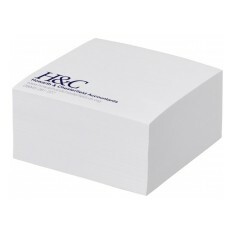 Branded with..
You will never be far from your clients mind with our Larg..
Approx 400 sheets of plain white 80gsm paper. 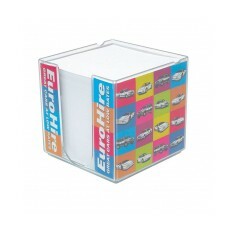 Acrylic hold.. 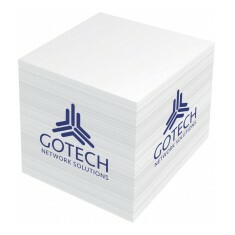 Approximately 750 sheets of plain white paper. 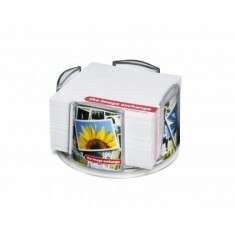 Price shown is for printing 1 c..
Don't forget those quick notes with our custom printed Mem.. 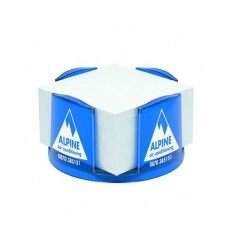 Polypropylene holder contains approximately 250 appointmen..
Don't let your notes clutter up your desk with our Smart Holder Maxi. This stu.. Multiple different page colours. Mini carry handle. 240 pages. Full colour print available. 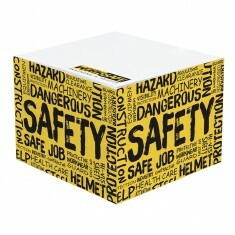 A great desktop item that will keep your message exposed f.. 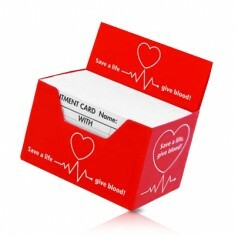 Robust, high quality Card MemoBlock printed in full colour..
Give your next promotion prominence by opting for our cust..
Block-Mate printed on all 4 sides and top sheet throughout the block in one co.. 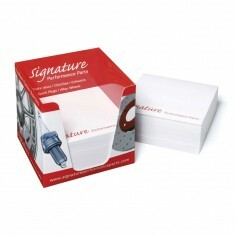 Robust, high quality Card MemoBlocks printed in full colou.. 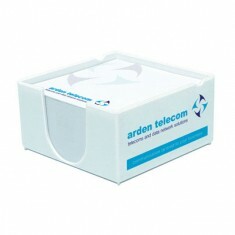 Supplied with a full colour printed fitted card insert and..
Keep your branding on your client's desk with our personal.. 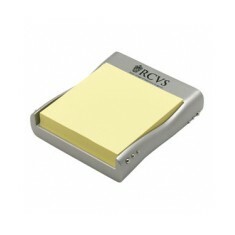 Note pad holder in matt nickel plated finish with polished..
Make your branding last for longer. 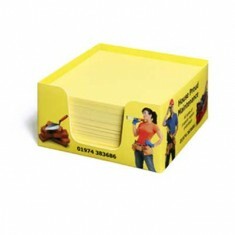 Large block containing approximately 380 s..
Be prepared for any message with our customised Sticky Smart Notes Block. This..